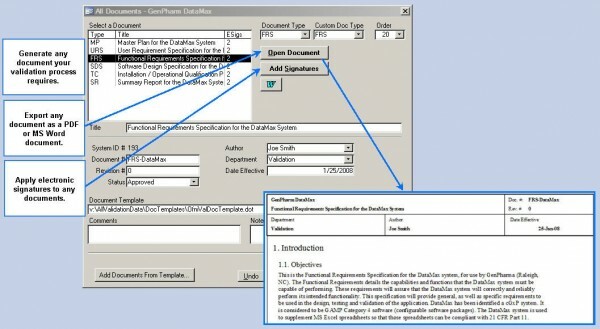 FastVal allows creation of any document required by your validation process. Documents can be created as Word or PDF documents. Once completed, users can apply a fully 21 CFR 11 compliant electronic signature to any document, preventing the document from being edited or updated.